House moves is often something that the mere thought of, breaks us out into hives. And yet, at some point of our life, we always have to undertake relocation. It is stressful enough as it is with all the cost and the pressure of getting everything right, not to mention thinking of how to be able to hire a man with a van in Pentonville, N1, efficiently, effectively and on time. Here at Moving Service, we have been in the business for over 10 years, specializing in all types of furniture removals, student removals as well as office removals. We understand the need to have everything done professionally and on time, so please give us a call on 020 8746 4402 to discover how we are able to help you with your move! It is based on the Northern fringes of Inner City London and Central London, and is located about 2 miles away from Charing Cross, coming under the Metropolitan Borough of Finsbury with the postcode of N1. 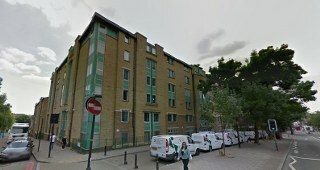 It developed in the northwest edge of the ancient parish of Clerkenwell on the New Road and was developed from Henry Penton, who is known to have developed the area. He developed a number of streets in around 1770 and has been part of the London Borough of Islington since 1965. Its nearest places include Finsbury, Islington as well as St Pancras. Situated in the heart of Central London, it is close to all the amenities and transport links are excellent. Its closest tube station is the station of Angel on the Bank Branch of the Northern Line. It is on the most Northern part of the London Inner Ring Road that spans the boundary of the London Congestion Charge Zone of Central London. It is said to be the ring road, because there are North and Circular roads that span more a distance and then finally the M25 Orbital Ring Road, that encompasses the whole of Greater London. Pentonville Road runs between Kings Cross to City Road. It is simple to think of sticking everything into your car for your relocation and yet, the best choice is often a removal van which is professional and gives you peace of mind. What do we mean by that? Well, it is simple to think that everything would fit into your car, and it might; however have you ever considered if you went round a bit too fast, what would happen? Most likely, if your items are not entirely secured, they will either break, chip or in the worse case shatter and that isn’t the best way to start a move into your new house! Professional removal companies in Pentonville, N1 like ours are equipped to be dealing and handling with all the little niggles that come along with moving a house and we would be delighted to help you with your move! You don’t move a house every day, so you owe it to yourself to be able to move all your items with the knowledge that they are all insured and protected, properly. We have cheap and affordable rates, because we at Moving Service understand how important it is, that a removal service fits into your budget. Contact us today on 020 8746 4402 for a no obligation quote!